While Dubai is mostly associated with luxury and opulence, it is fast becoming a favourite with tourists who would like a bit of adventure on their travels. Here are 4 amazing activities in and around Dubai that adventure enthusiasts can indulge in. If there is one thing that you will find a lot of in Dubai, compared to any other major city in the world, it would be exotic sports and luxury cars. When venturing into the heart of the city, don’t be surprised to come across Ferraris and Lamborghinis at every street corner; the Emiratis are very fond of their supercars. It is not surprising then that motorsports is a very popular activity in the city. 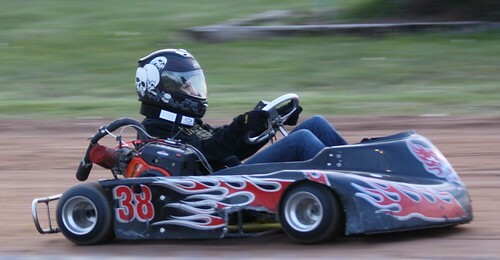 From karting to track days, every car and bike enthusiast can enjoy indulging in some high-octane motorsports adventure. Places like the Dubai Autodrome even allow you to rent out supercars and let you hit the track under the supervision of some of the best instructors in the world. The instructors will not only teach you how to drive fast, but also how to handle a supercar without wrecking it into a wall. Dubai is such a magnificent city that it can be easy to forget about the desert that lies at its doorstep. If you are a thrill seeker who loves to try out new things, then going for a desert safari is a must. 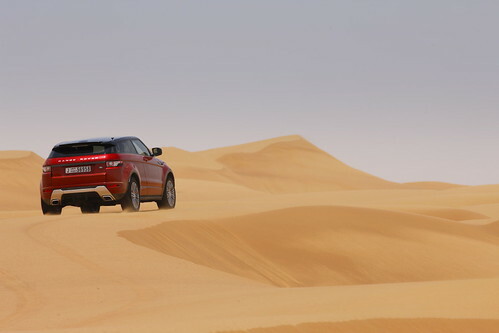 The entire family can experience the fun of driving over massive sand dunes in some of the best 4×4 off-road vehicles in the world. For those opting to go solo, it is possible to rent out dirt bikes and buggies and have a whale of a good time amongst the dunes. Once you have tired yourself out, there is nothing like tucking into a feast of local dishes and having a picnic in the beautiful desert. While a desert lies on one end, the blue waters of the Persian Gulf beckon along the coasts of Dubai. The government has always had an environmental policy in place to protect the waters off the coast of Dubai and you only have to look into the clear blue Gulf to realize their policies have paid off. As a result, water sports are extremely popular with locals and tourists. 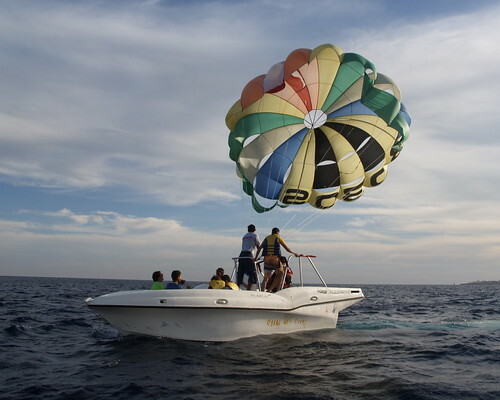 With many of the biggest hotels situated on the coast, tourists do not have to venture far to get their fix of parasailing, diving or jet skiing. Since most of the water sports companies cater to a large number of international tourists, Dubai has become one of the safest places in the world to indulge in these adventurous activities. It is well known that Dubai has a number of buildings that give it a distinct and beautiful skyline. The best way to see the marvellous structures is from the air and there are a number of tour operators that offer helicopter tours of the city. However, for true excitement, you might want to consider going skydiving instead. Dubai has fabulous weather all year round, which makes it ideal for skydiving. 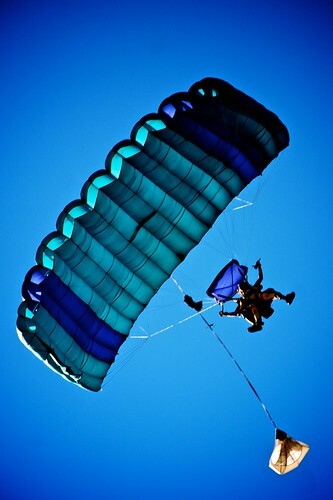 Whether you are planning to go solo or taking part in a tandem jump, skydiving allows you to take in the city in a way that few others have experienced. Most hotels in Dubai generally have all the information and services required to cater to guests seeking adventure activities. This article is penned by Jessica Belmont, a travel blogger. She loves travelling and meeting new people of diverse culture because she believes that diversity is what gives rise to uniqueness. She just visited Dubai and has only good things to say about the Dubai restaurants. Hi Everyone, Just new here Tourism is just simply awesome and the best way of escaping your daily 5 days a week, 9 to 5 and go out to see the natural world are safaris for example like Desert Safari Dubai, Jungle Safari Africa or even Rain Forest Safari Malaysia. Hi Nice Blog. I like it, Guys what do you thing which Desert Safari is better the Desert Safari Africa or the Desert Safari Dubai. I personally think Desert Safari Dubai is better due to the luxury in Dubai but Desert Safari Africa has its own luxury of true nature. Old but seriously amazing describe and Desert Safari and skydiving still has a hot demand in Dubai. I’ve been living in Dubai since 2016 and got so many good experiences. Love your blog and keep sharing that kind of info.